Small Solutions Big Ideas Connect Kids February vacation program was introducing simple games to our students. Mazes are early games that children play, and also a favorite in the Sugar XO Activities that our students in Kenya have been using for the last 6 years. On the day the workshop began, I heard a news report about the poaching of forest elephants in the African country of Gabon. Gabon is in West Africa. We looked up the country on Google Earth and found out that forest covered almost two thirds of the land. The forest is thick, and so dense that no one had tracked down the elephants in the forest for many years. The country decided to do an inventory. The results of the inventory were shocking. The number of forest elephants surviving since the last inventory was about 20%. The forest was full of poachers and they had even established an active gold mine deep in the forest. 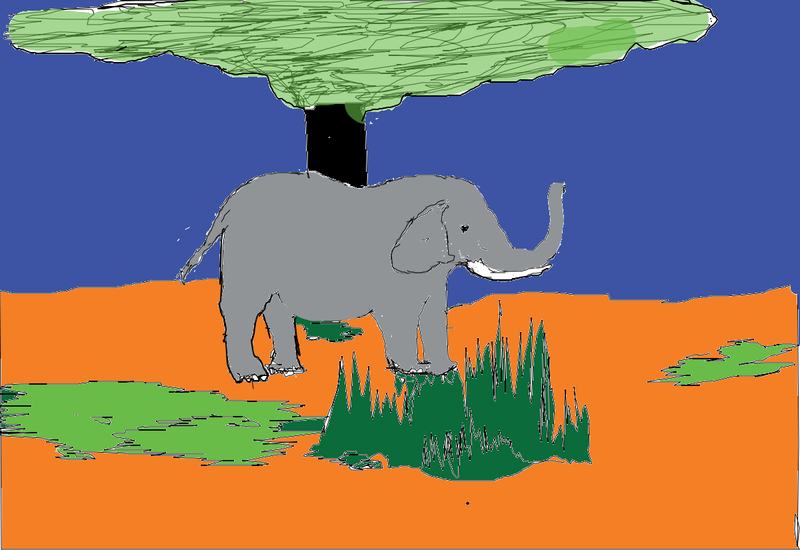 We read more about the elephants, and decided to design our Scratch Maze game as the Gabon Forest. The sprites were small tribes of elephants, and poachers. First we created our forest on paper with the trails of the elephants as the maze, and then the students imagined different danger spots, where lions might attack, or near the gold mine where poachers were living. They also created some safe areas for the elephants. We practiced making mazes. Then we used our Scratch program. Sprites are like the players in the game. So we created tribes of elephants as sprites, and wild randomly flying dark glasses as the poachers. The create the maze we used the background and painted our forests and the elephant trails. We programmed the elephants to move with the keyboard arrow keys. The poachers had a random fast moving pattern, so that the elephants had to be careful to avoid them. We put in our lakes as safe places, the gold mine, cliffs or rocks as danger places. There was more work to do, but it was fun. Below are photos of students using MakeyMakey, and then creating a maze on the floor. We will post the Mazes to our studio http://scratch.mit.edu/studios/2935407/. If you go to the scratch website, anyone with our without a scratch account can see our projects. Come and Join our Classes Starting in April 2017. On Thursday, March 30th, you can come at 4 PM to the Unitarian Church in Newburyport to see what we are doing, and whether you’d like to sign up. More information on our website too on the Connect Kids page. Rethinking Learning & Seymour at MIT yesterday. It was called ‘thinking about thinking about Seymour. 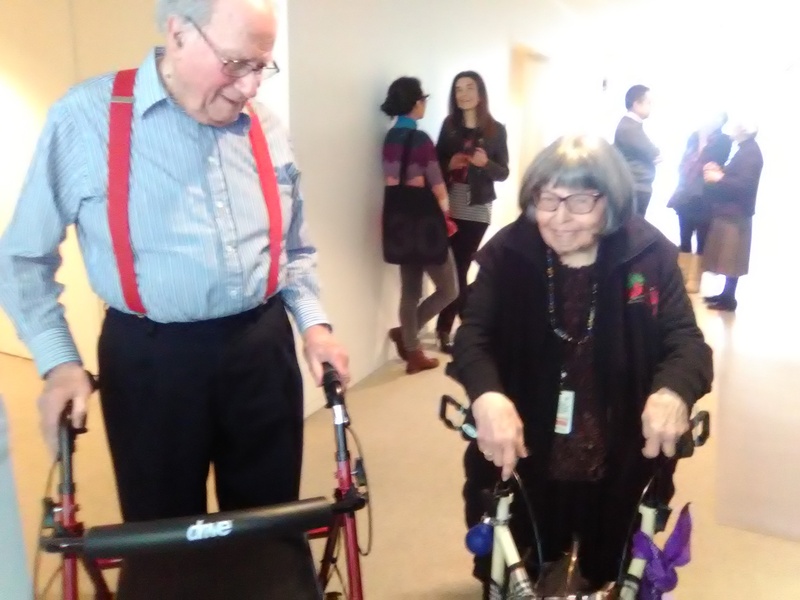 Yesterday Alan Papert, his family and myself participated in an event at MIT gathering the Seymour Papert people together to ‘rethink’ his message and what we might be doing about it now. Math is a language for understanding the world’. Programming (Scratch) is a language for learning and doing math thinking. 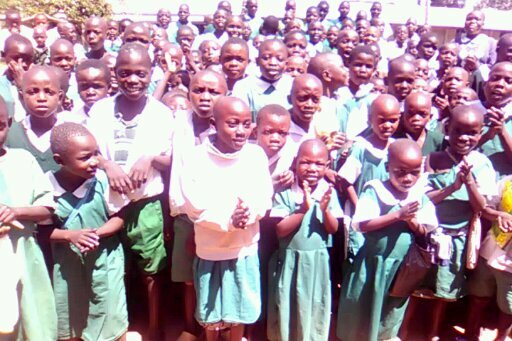 For the last 5 years the Hands of Charity Team in the Bungoma County Bukokholo village have held Vacation or Term Break Camps open to any student who shows up at the door. The schools have three breaks a year between the terms .During these breaks, children are idle and can get in trouble. Our Bungoma Hands of Charity team has provided consistently engaging Project Based Learning activities during these time periods. These children continue to learn and apply their learning to real world problems. The first year they would drop into a village in the area to bring computers at what they called Friendly Corners. In the next years they based their heavily attended programs locally and took students into the community to examine the impact of plastic trash, study the conditions and treatment of jiggers. They learned mathematics, used Scratch programming tools, and most actively studied endangered elephants, rhinos and lions. For several the Hands of Charity teachers requested funding to take the students and teachers to a Wildlife Park to see the animals they had learned to love and passionately depict in their art. Their village is several hours from places where they can see these species in a park. We are hoping that the funds we receive from the sale of the student art and donations will be sufficient for a trip in the near future. A message from George Newman of One Planet Education Network who been working with Hands of Charity to connect Bungoma kids to the world with the wildlife programs. “Bonnie (our leader) and his students have done exceptional work and continually work at learning more from our online education programs and real world based learning games. They are a key part of our international network of students. 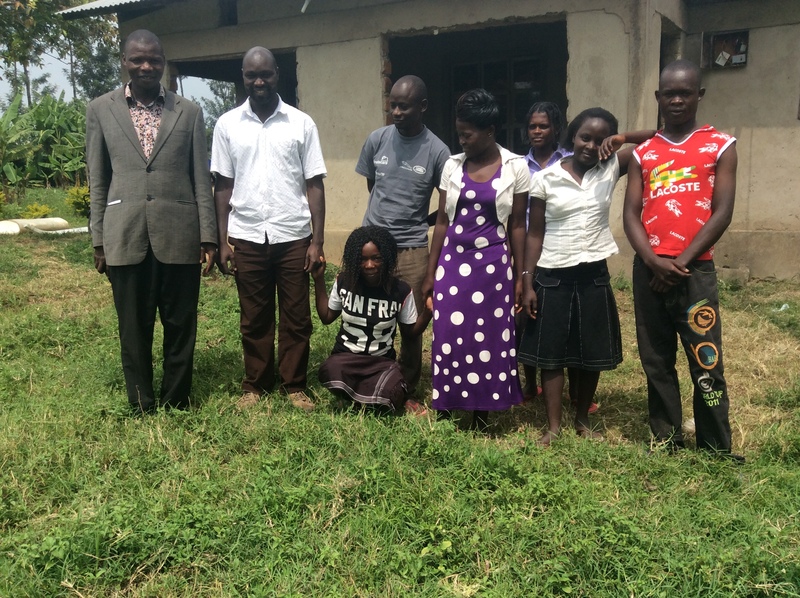 …These Bungoma students will be a leading part of this international student effort ahead in winter spring 2017! …It truly is vital, we totally believe at OPEN that nothing can replace seeing live animals in the semi-wild environments. That is so important for students who are now isolated from major wildlife species and habitats due to overdevelopment and poaching (need for game reserves and parks), to see animals up close and personal and NOT in the generally awful confinement of a zoo. That way these students can actually empathize with the animals, relate their work better on what they will be doing in the semesters ahead. And if these students get to go very soon to this park visit, they will be able to speak from experience, with great authority and enthusiasm when they next Skype with their international peers in DR Congo, Italy, Haiti, Brooklyn and Bronx Schools, North Carolina and, Amman, Jordan to name a few. The impact will be contagious I guarantee, further motivating the others. Sandra and I are formulating for advancing both our organizations good work. All the Best for the New Year for you All, and thank you for considering my point of view on this opportunity. We used paint activity to choose colors according to the surrounding features. They drew a green vegetation as a simple of a place having enough rainfall and a good place for crop farming. Kids indicated rivers passing through that vegetation area and colored it with blue as a symbol of water and big trees showing the importance of forests. The purpose was to tell others on the importance of afforestation and effects of afforestation. The idea of afforestation is coming up to due increased number of cutting trees in the area they come from. 51 students attended the sessions as 26 laptops were used per session. Poor transport systems resulted to breakages of computer due involvement in a motorbike road accident to Namwesi school. 4 computers were broken the screen. Lack of enough hardware making some schools miss distance learning session on 6th and 7th June. More schools demands XO laptop initiative but we have inadequate hardware and manpower. Lack of a nearby repair center for replacement of broken machines. Increased number of computer learners both in school and at the market place centre . Technology skills spread in schools thus improving performance. Behaviour change and communication over jiggers had improved. Project based learning is becoming a key learning issue. Need for more networks as it came out during Skype call sessions. Participated in distance learning event. Had a chance to talk to Katherine who is interning with Smallsolutionsbigideas. Getting good support from smallsolutionbigideas in terms of hardware and stipends for teachers. A promise from OPEN to get some new windows 7/10 PCs for summer distance learning expansion. More schools to be brought on board and participate in technology advancement. Need for Internet access hardware and services for future events. Bringing inn new management posts for proper running of the project. Interschool heads meeting to promote technology in rural schools internship. Science camp and wildlife educational tour facilitation by SSBI in August. Expansion of distance learning project by bring more schools on board and promoting online discussion locally in schools. The report was prepared by Bonaventure after receiving information from all teachers according to the activities done. More schools demands XO laptop initiative but we have inadquate hardware and manpower. Technology skills spread in schools thus improving perfoemance. RECOMMENDATIONS TO IMPROVE PROGRAMS: More schools to be brought on board and participate in technology advancement. Need for Internet access hardware and services for future events. Bringing inn new management posts for proper running of the project. Interschool heads meeting to promote technology in rural schools internship. Science camp and wildlife educational tour facilitation by SSBI in August. Expansion of distance learning project by bring more schools on board and promoting online discussion locally in schools. The report was prepared by Bonaventure after receiving information from all teachers according to the activities done. used write activity to discuss on HIV/AIDS by documenting on how they should utilize their free time after closing school, during August holyday where initiation rite. We had so many issues that came out such as; visting relatives, friends and towns while others said is the time to support parents at home and doing innovation work at the marketplace *2 sessions. Monday- at Butonge primary school- more kids came in for computer session windows were full of learners who just wanted t ojoin others for the session even if it was not their class. They wanted to know more about what activity is being used by their colleagues as far as the program of computer is concerned. 90 learners attended the lesson and 31 laptops were used. Tuesday- Namwesi primary school class 7 where we had uncontrollable population of student who were eager to the XO laptop because they saw one day in a week in their school is not enough. Sincewe did not want demoralizse willing to learn students it forced teachers present to arrange 5 pupils per laptop. 33 laptop swere used. Market place – general creative work learning for the full week was as per below mentioned sugar lab activity. – use of scratch- development of animations which included, word, animal and child to child interaction. – paint activity- Drawing and creating stories over the pictures. -Turtle sugar lab activity was used by class seven of Butonge primary to learn more about geometry in math. Creative learning by collection of plastic papers and washing them for reuse. -planning with kids over what they think they can do with a case on afforestation to restore our planet through project based learning activities. -selection of what kind of materials are needed to achieve their specific objective as the hope of new generation and climatecare. QUESTIONS ASKED BY BUNGOMA STUDENTS OVER ENDANGERED WILDLIFE SPECIES AND OTHERS DURING 6TH AND 7TH JUNE EVENT. How are Turtles endangered?Why do they hatch and lay eggs far from the sea and what distance is it from the sea?Are the turtles hunted and if yes what are they hunted for?Is there any use of the Rhinos horns and Elephant ivories used for in supporting the economy of the country?How many eggs does a turtle lay?If the Turtles lives in water, what makes them not to lay eggs in water?How is it important to Kenyan economy if Rhino horns and Elephant ivories are burnt?Do we have poachers hunting in developed countries?What can you do or what do you fell the government should do to poachers?After this section I Brighton would like to know how we will be sharing E-PAL informatiom with all the participants of this event?How is it important to the countries economy if Rhino horns and elephants tusks are burnt? WILDLIFE DEFINATION AS PER BUNGOMA STUDENTS’ UNDERSTANDING. Is the undomesticated plants and animals in their natural environment. 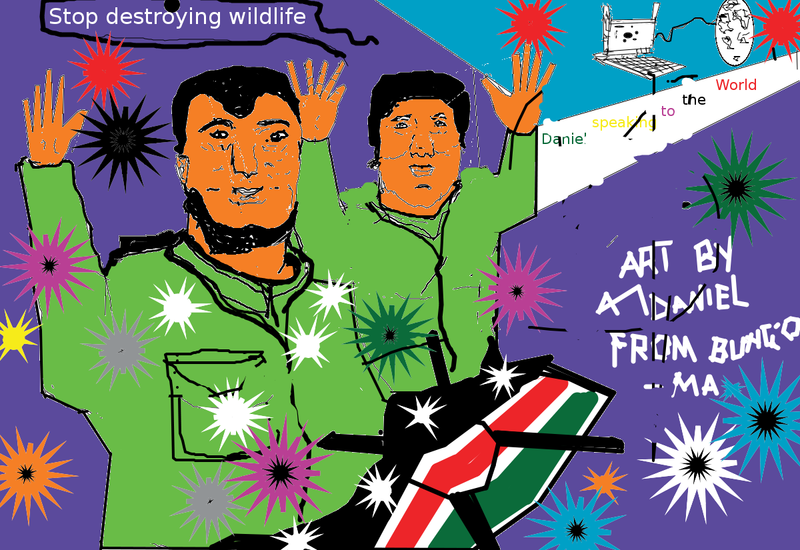 Is an illegal wildlife hunting and killing innocent animals with an aim ofselling some of their parts on black markets. Are huge animals They are mainly hunted because of their tusks. The skin is used in making lether shoes, bags and clothes according to local understanding. Suggestions to the gorvernment as a way of improving wildlife security. 1. We would like the government of Kenya to employ more game wardeners. 3. Employ the poachers who freely surrender themselves to the government as a way of stopping poaching. 4. Those people with big farms to be allowed the government to build sanctuaries as a way of bringing security near the citizen. Earns Kenya foreighn exchange after the tourist had visited KenyaIt is a pride of our countryThe forests acts as water catchment areas and bring rainfallHelp other tourists to have trips in Kenya to see animals that do not exist in the other countries. A Rhino has two horns, one on its nose while the other on its forehead. The horns are removed by cutting using a knife after killing the rhino. They are then sold to demand countries through the connection of middlemen and even sold in Kenya to the people who are connected to poaching. ELEPHANT: An elephant is a huge animal found in the forest. It lives for about 80 years. Its young one is called a calf. It normally feeds on grass during the day. They have two tusks on their noses and a strong trunk that runs from the forehead.They are mainly hunted for their tusks/ivory. 2 species of African rhino Scientific name- Black dicero – Bicorns white Black rhino 1-5 tons White rhino more than 2 tons. Black Rhino population had gone down by 97.6% since 1960. The camp started on a Saturday which consisted of learners and teachers joined and showed a lot of interest towards the camp and did group work learning on the projects they intend to deal with for finding a long term solution in different fields and out of it they set up plans in different categories as shown below. They set up activities that which they did in campaign for jigger free. They came up with specific objectives on the case study and arranged questionnaires they will for the entire period of the project. SPECIFIC OBJECTIVES ABOUT THE CASE STUDY WERE AS FOLLOWS. -Child involvement in Jigger control. Children free from Jigger infestation and attend classes by August 2016. To educate the household members infested with jiggers using testimonies from children who were infested and now free from the jiggers. During weekends, pupils to reach out jigger infested families to give health education as child empowerment on hygiene and good environmental management. Evaluation for the progress last Saturday of every month. Organizing health action days together with health workers and community members to talk about the problem as a sign of togetherness and child involvement. What does it feed from human body? How does it procreate and its lifecycle? How does it spread from one person to the other? The above questions were in children themselves after mapping activities. During mapping it was found that mostly children from poor families who stay under unconducive environment such poor housing, beddings, hygiene and ignorance/illiteracy contributes to jigger infestation. Most of kids infested by jiggers are of age group 3 -13 years in areas identified. Very few in age group of between 14 -18 years and between age group of between 50 – 65 are infested just because the lack information about precaution concerning general hygiene. Out of this observations, learners came up with the above proposal for the coming six months implementation. Pull and push between children to see how the infested person looks like. High exceptions of free drugs by community members. Fear of jigger infested clients to be inspected and given a child driven first aid. Learners were able to understand the effects of jiggers to human health. They used the camp to give priority to problems according to the situation. Kids/ Learners to come up with experience stories about HIV clients. -Learners to know that we have people living positively. -For them to identify what problems that can make them be at risk to HIV/AIDs. -Through poetry- poems were recited by camp participants with a theme how shall be save from it as a young generation. 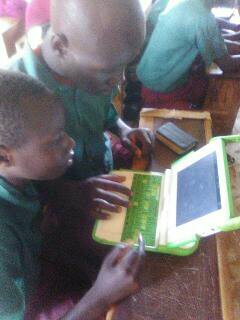 -Written story- learners wrote stories on XO laptops expressing what they understand about HIV compared to 20th century. -Using internet to research- by use of BRCK and Safaricom routers to access information about HIV which included most affected countries, which co-horts in terms of age. Once in a month by visiting a nearby health facility to find out the infection rate. To ensure that kids/ Learners understand that we have people staying positively on village level and need their support and encouragement of stigma free environment. Have a reduced stigma and proper HIV advocacy within local villages. Pupils were much interested to use internet in finding information about the case study. It was noted some children are affected with HIV at their homes. Centre of discussion was about elephant, rhino, and lion. Major issues were how those animals feed, move and stay. They discussed how it earns foreign exchange to the country and nature. Key issues were why are they mostly hunted by poachers, what for, what facts are behind the killings and how are they marketed and for what reason. -Who targets them and for what reasons. Which countries mostly demands their products and on what purposes. -To inform the world on the reasons why we should conserve our wildlife. -Creating room for the children of the world to have a say and educate others about wildlife in the county. 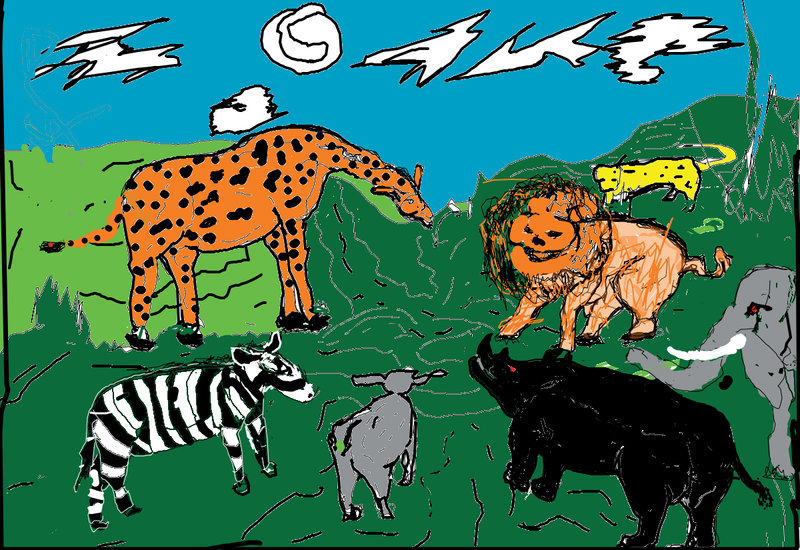 -To promote online learning with an aim of minimizing wildlife slaughter worldwide. -Create a room for research and information sharing. Learners use write sugar lab to write stories about what they feel should be done to endangered species in the safety. They used scratch sugar to make conversational projects concerning the feeling of the wildlife endangered species. It was noted that most of students have information about the happenings to our wildlife but they had been never be given a chance to express their feelings. Camp participants showed a lot interest in wildlife safety discussions. Trash was among our intended camp activity but due to time limitation it was left out. Facilitation to be increased for more days of any planned science camp in future. Camps to be facilitated quarterly. Smallsolutionsbigideas to look for a way of funding jigger project to enable participants to have enough logistics. Need of Internet services provision to enhance online learning. SSBI to facilitate health service providers and teacher workshop with an aim of reducing jiggers’ cases. Wildlife Protection : One Planet Education Network brings Bungoma Kenya SSBI Hands of Charity partners with Haiti, and US students together. SKYPE with Haiti and US students started well whereby our learners were very happy about having a distance learning event in their schools. We started with Namwesi primary school on Friday where teachers went to prepare learners on what the skype will be about. and prepare distance learning event whereby as Bungoma team were to talk about wildlife especially Rhino and Elephants with learners from different schools of NYC, Haiti, North Carolina and representave from AWF and Marinelife representative talking about hawksbill turtles. Bungoma team was so proud to talk to George and others including Dr. Ronelus who they said his a black American teacher of Haitian origin. On Monday 6th June 2016, was a great day for Namwesi primary pupils to participate in the distance learning event to prepare notes on wildlife so that they can do their presentations perfectly Those to participate were, Brighton, Shamillah, Obadiah, Evans and Faith. It was 2.00 pm when Hands of Charity staff arrived Namwesi school compound to facilitated a long waited event. Students were much eager to see and hear from American students. “Tunaenda kuongea na wanafunzi wazungu”, we are going to talk to white students. You could find them making fun of talking like Americans. When time came, 3.30 pm our hp device donated to us by Small Solutions and BRCK router were set ready to perform. When the heard an incoming Skype call from George Newman they smiled in a secret manner not showing up there curiosity towards what was going to happen the next minute.The call was answered by video and they heard and saw Mr. Newman first then followed by different participants. Thereafter, all the eyes was on the screen to see what will happen next. Our students were surrised to see Dr. Ronelus with his students and his bass voice. They were also much interested with how their colleagues classrooms well equipped compared to Bungoma classrooms. ELEPHANTS Are huge animals. They are mainly hunted because of their tusks. SKIN The skins are removed from their bodies and sold in manufacturing industriesThe skin is used in making leather shoes, bags and clothes according to local understanding. Suggestions to the government as a way of improving wildlife security. 1. We would like the government of Kenya to employ more game wardens. Earns Kenya foreign exchange after the tourist had visited Kenya. It is a pride of our country. The forests acts as water cachment areas and bring rain fal. 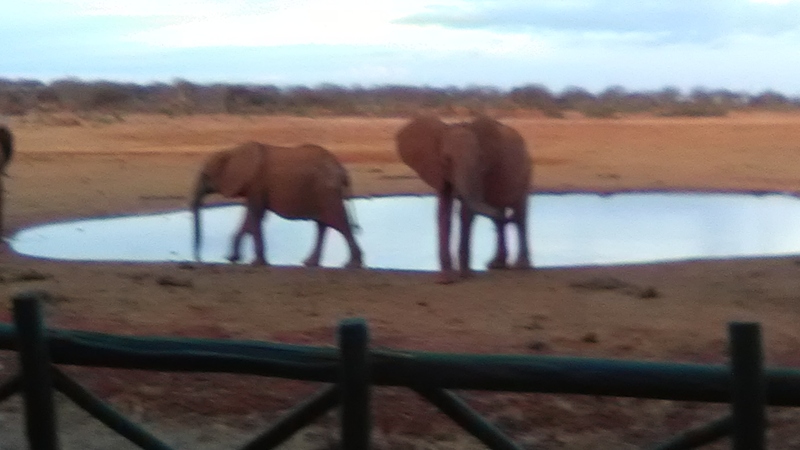 l Help other tourists to have trips in Kenya to see animals that do not exist in the other countries. ELEPHANT:An elephant is a huge animal found in the forest. It lives for about 80 years. Its young one is called a calf. It normally feeds on grass during the day. They have two tusks on their noses and a strong trunk that runs from the forehead. They are mainly hunted for their tusks/ivory. Used paint activity to choose colors. . They drew a green vegetation as a simple of a place having enough rainfall and a good place for crop farming. Kids indicated rivers passing through that vegetation area and colored it with blue as a symbol of water and big trees showing the importance of forests. The purpose was to tell others on the importance of afforestation and effects of afforestation. The idea of afforestation is coming up to due increased number of cutting trees in the area they come from. 51 students attended the sessions as 26 laptops were used per session. We could do this… join the movement, create fashion from ‘trash’! The child is made of one hundred |The child has a hundred languages | a hundred hands | a hundred thoughts | a hundred ways of thinking, of playing, of speaking. | A hundred always a hundred | ways of listening | a marveling of loving | a hundred joys | for singing and understanding | a hundred worlds | to discover | a hundred worlds | to invent | a hundred worlds | to dream. The child has a hundred languages | but the steal ninety nine. | The school and the culture separate the head from the body. | They tell the child: to think without hands | to do without heart | to listen and not to speak | to understand without joy | to love and to marvel only at Easter and at Christmas, | they tell the child: to discover the world already there | of a the hundred, they steal ninety-nine. They tell the child: that work and play reality and fantasy | science and imagination | sky and earth | reason and dream | are things | that do not belong together. | And they tell the child that the hundred is not there | The child says | NO way, The hundred is there.